TANK Magazine was first published in 1998. The quarterly publication covers contemporary culture in an informed, articulate and original manner. With a strong following in the worlds of art and fashion, TANK has acquired an idiosyncratic, distinct voice through its design, critical approach to writing and eclectic aesthetic. 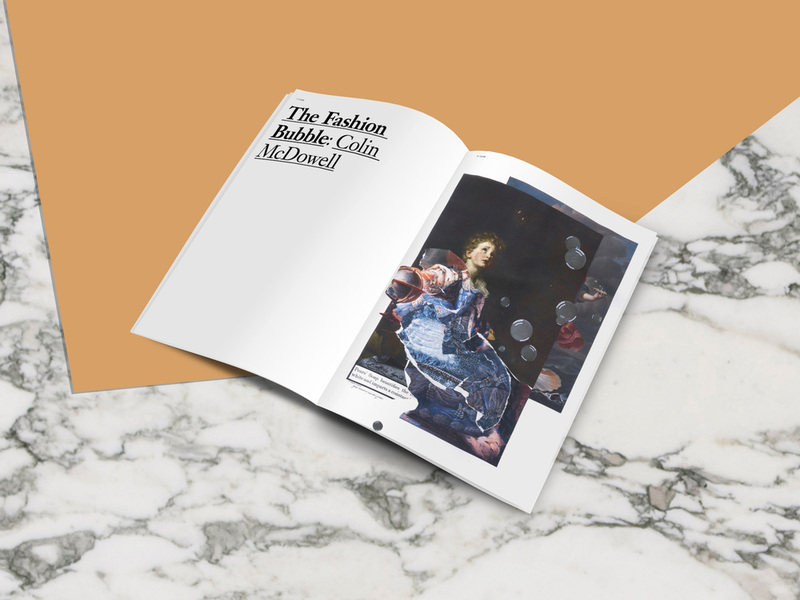 The Bubble issue, Volume 8 Issue 7, investigates and questions the bubbles that surround technology, science, politics and geo-economics, as well as spherical trends in architecture and design. TANK's regular features interrogate the newest highlights from the SS16 collections, combining style with fashion's most intelligent writing. 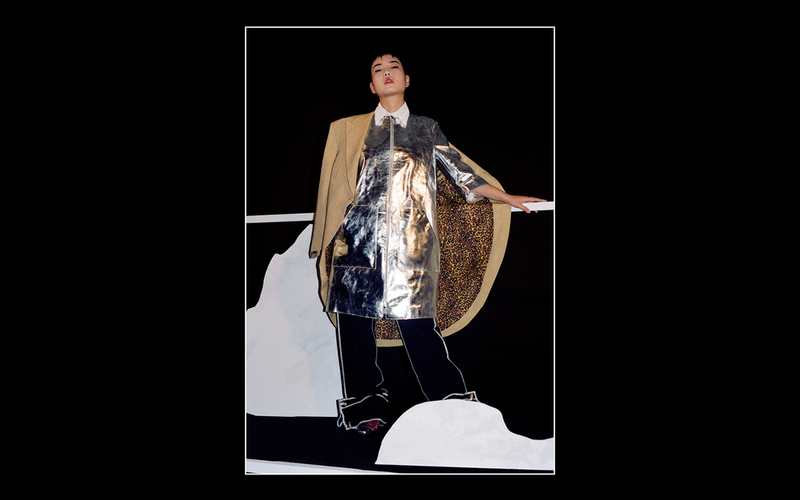 I have been involved in the retouching and post-production of some of the issue's fashion imagery, as well as being responsible for illustrating Colin McDowell's essay on fashion's ephemerality.